Autumn has arrived at last, and with it the Autumn harvest. Though the tomatoes have slowed down a little, the pears and apples in the orchard are ripe for picking, so there is no let up on the cooking and preserving going on in the farmhouse kitchen. The Easter long weekend proved the perfect opportunity to catch up on some work in the kitchen. 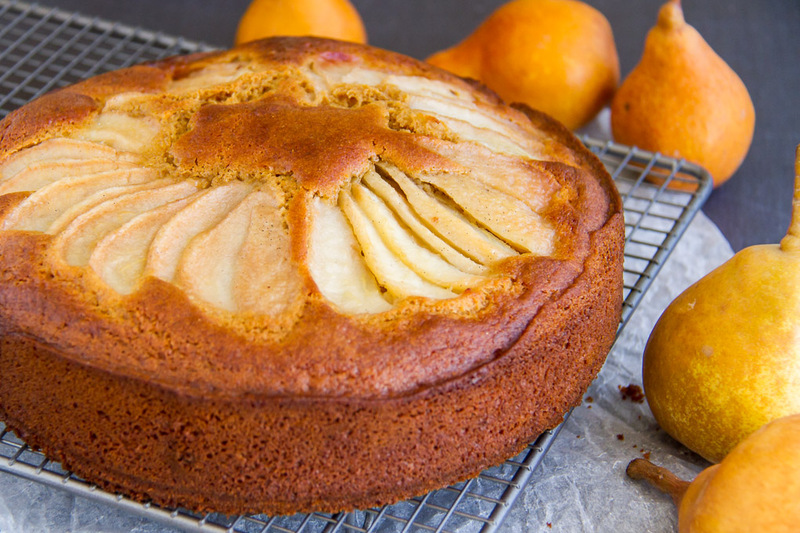 We made jars of pasatta (Italian tomato puree), and caramelised about 10kg of onions (you can find the recipe here), and on Sunday afternoon I poached some pears and made this pear and ginger cake for an afternoon treat. Perfect while relaxing and enjoying a little crochet! In a sauce pan place the sugar, water, scraped vanilla pod, and cinnamon quill. Peel the pears and place in the syrup. Simmer for 15 minutes. Allow the pears to cool. Remove the pears and allow to drain. Place the flour, sugar, ginger, and cinnamon in a bowl, and stir to combine. Place the butter into a microwave proof jug and melt in the microwave (approx 1 minute). Pour the butter, eggs, and milk into the dry ingredients and mix until combined. Pour the batter into a greased and lined 22 cm cake tin. 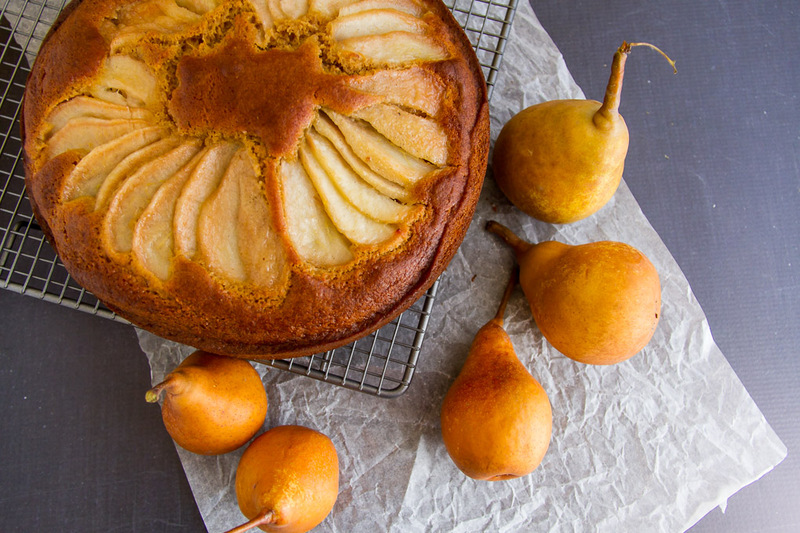 Arrange the pear on top of the cake. I popped a couple of extra pears into the syrup to poach. That way I had a few spare for dessert - yummy! What did you get up to this long weekend? Got any good pear recipes? I appreciate your help and recipe! Also, what do you do with the syrup? Pour over the cake, into the batter or discard? Thanks again. 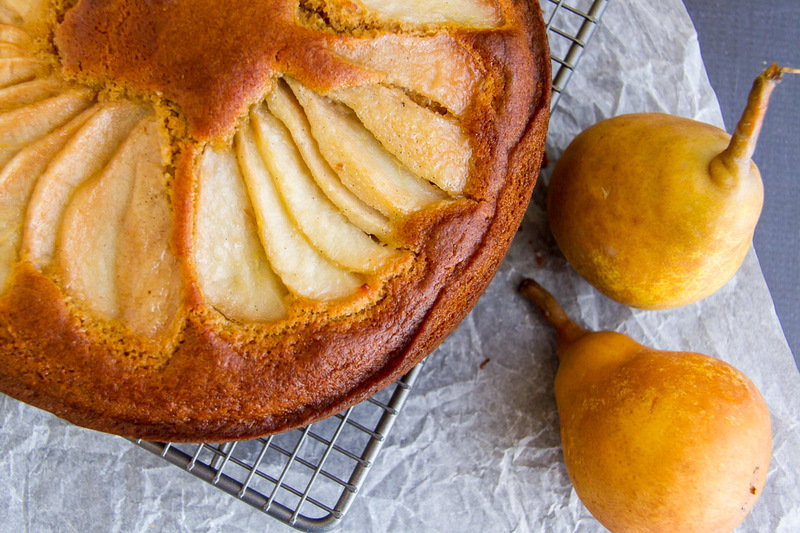 I just had to copy your Pear and Ginger cake recipe! Sounds so good!